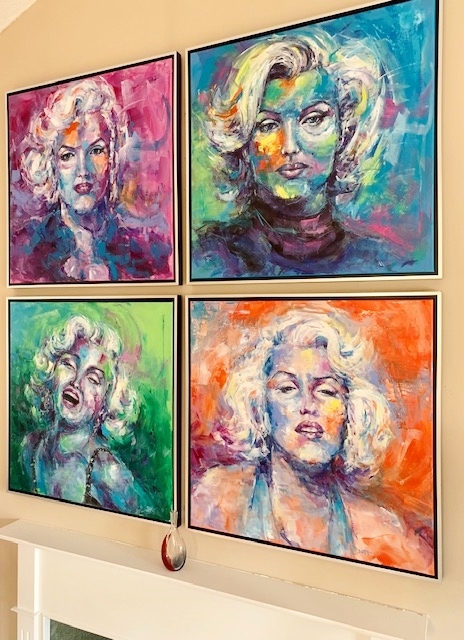 Arising from a foster home childhood, Marilyn became a model, actress and singer, indeed one of the most recognizable icons of the 20th century. And yes, another celebrity, with so much fame, so fast, who flamed out at age 36. She had many different looks throughout her roles in 29 films. From Niagra to Gentlemen Prefer Blondes to Some Like It Hot (for which she won a Golden Globe) she played the captivating blonde bombshell. For all her foibles and faults, Norma Jeane Mortensen, aka Marilyn, remains one of my favorite subjects to paint.